BibRave Product Review: SmellWell – Daddy, Did You Win? Disclaimer: I received SmellWell to review as part of being a BibRave Pro. Learn more about becoming a BibRave Pro (ambassador), and check out BibRave.com to review find and write race reviews! Let’s just admit it, as runners, we stink! And I mean that literally (at least after a good workout). And if we stink, that means our running clothes and shoes do as well. The worst though is when you throw your workout clothes and shoes into a gym bag after your run and when you get home, you open that bag. The stench can be over powering! I present to you a solution to the over powering Smell, The SwellWell pouches. The purpose is simple. Just throw the pouches in your shoes or gym bag and the pouches do the rest by eliminating the nasty odors. 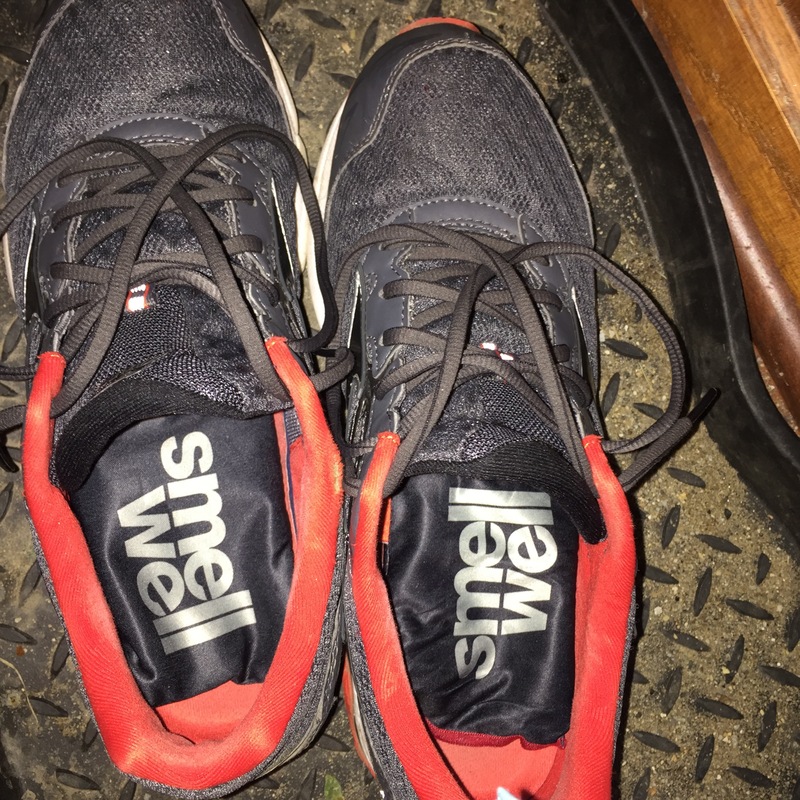 I primarily used the SmellWell in my shoes mainly because I do most of my running from home, but I didbuse them a couple times in my running bag when I was able to do a runch. I have been impressed with the SmellWell. I have noticed a huge difference in the odor in my shoes specifically, but it’s not a short term change. I have noticed day to day that the SmellWell does its job. They are to last 3-4 months. I can tell you that through a month, they are still going strong. ​I have tried other products, especially sprays, to eliminate odors from my shoes, and honestly they worked. The issue for me with the sprays is remembering to spray my shoes after every run. 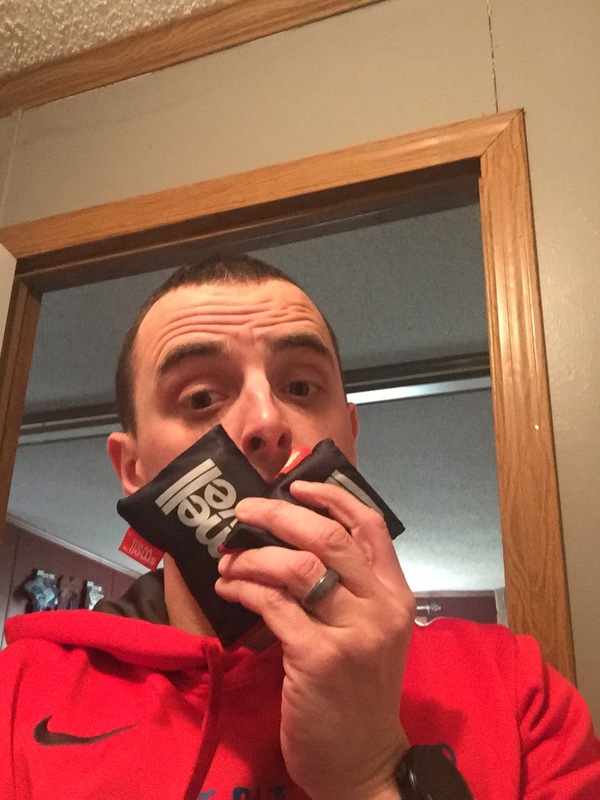 With the SmellWell Pouches, I just take them out before the run and throw them back into my shoes after. 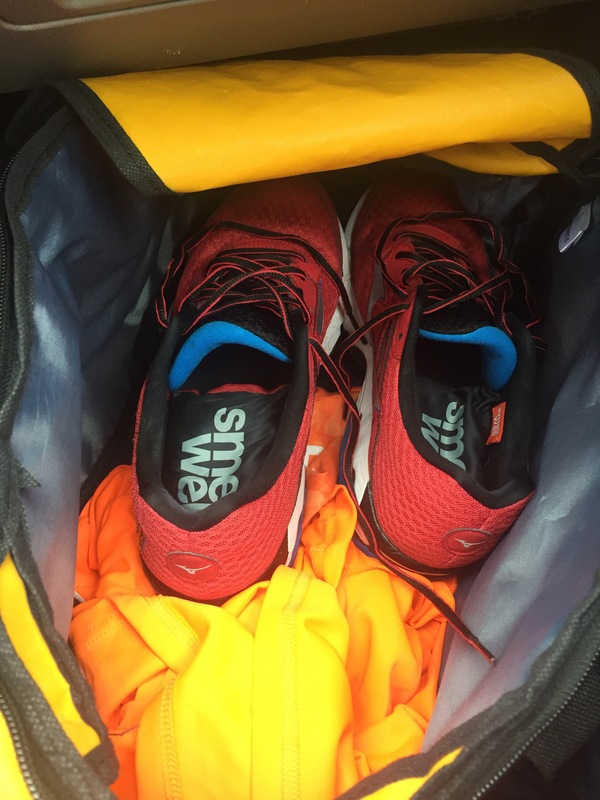 As I said, I did use them in my running bag from time to time and I was pleased with how my bag smelled when I opened it. Lastly, let me talk about how the SmellWell smells. I would describe the smell as fresh laundry but not a flowery smell. It is also not overpowering. It’s main goal is to eliminate the odor, not mask it. SmellWell does just that. SmellWell is relatively inexpensive, especially given the 3-4 months that they last. You can purchas a 2 pack of SmellWell on Amazon for $9.95! You can also check them out on their website where they have a buy 3, get 1 free deal. Want to win a pair of SmellWell to try for yourself? Join us on Twitter at 9:00 EST for #BibChat for your chance to win!